Oatmeal is a favorite in facial masks because of its natural ability to help carry away debris. Honey hydrates and soothes the skin. A completely natural handcrafted soap unscented for sensitive and acne prone skin. Excellent as facial cleanser. The generous addition of Emu Oil in all our soaps creates a moisturizing cleansing bar that can leave the skin silky, smooth & polished. 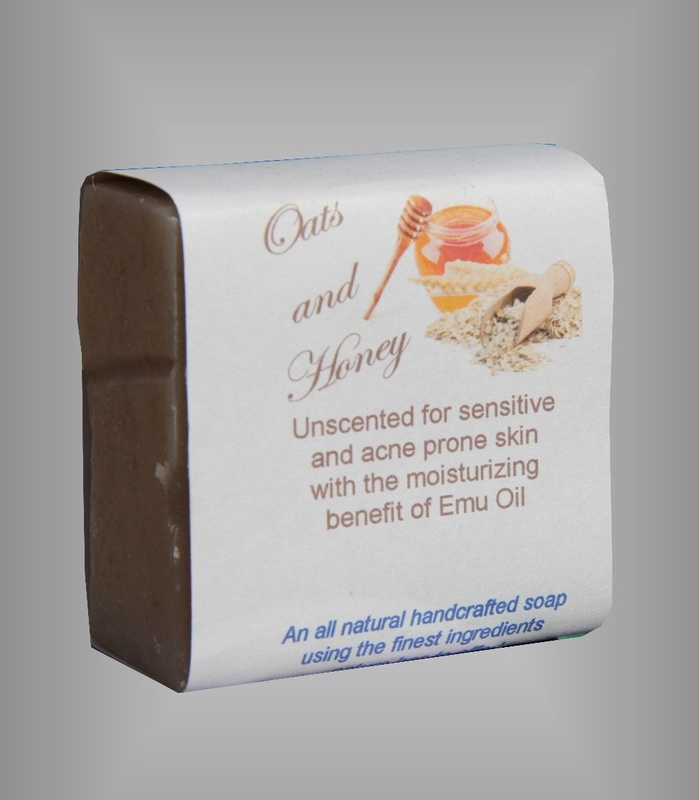 When combining the penetrating power of Emu Oil with other natural ingredients, it actually triples or quadruples their nourishing & revitalizing effects creating a soap bar you just have to experience to believe! Only the highest quality natural ingredients are used in creating our "Secret� formulations. Contains: Pure olive oil, coconut oil, palm oil, & Emu oil, natures premier emollient. Also contains: Oatmeal and Bran gently carry away debris, honey, and essential oils.